Painting an Amsterdam canal in the canoo. 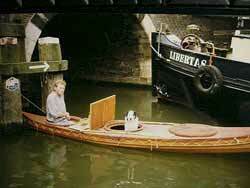 I don't believe in longwinded manifestos. The paintings can speak for themselves more honestly than anything I could say. I only paint subjects for which I have a strong emotional attraction. I am drawn to certain subjects that I return to over and over again. I have always been fascinated by cities with their dazzling structure of buildings, streets, canals, trees, cars and of course people. Koppelaar at work in the country side. I am also drawn to plein air painting. I spend my childhood at the edge of town where city and country meet. Maybe that is why I incidentally love to leave the turmoil and experience nature. 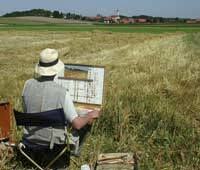 By their very nature, paintings done en plein air must be completed fairly quickly, before the light changes, and often are small. The best plein air paintings have a spontaneous quality that captures a moment, or offers a fresh insight into a familiar scene. Besides all this I paint portraits. I consider portraiture as by far the greatest challenge for any painter. The main goal is to capture the essence of a living being and then bring it to life in a work of art. The pure excitement that comes forth of manipulating paint into visual illusions of the real world is my main drive behind my work. I could not care less about the question where my work fits in with current contemporary art. Through the years my work has developed corresponding to my idea of how a painting should look like. This idea is fed by each painting I see. My work is sometimes criticized as not being innovative. Well, to be honest I think that at a certain point in time it can be a great innovation not to be innovative for a change. The urge for innovation does not automatically result in exciting works of art as far as I can see it. My first experience with oil paint was a very disappointing one. How on earth could one create a painting with this almost unmanageable material? I decided to stick with drawing. Later, I hoped, I could learn how to paint at the academy. At the academy we did some painting alright, but apparently there was not too much spirit for studying the technical aspects of painting. On my request, one of the teachers, Co Westerik, came up with a list of books about the subject. The most important book should be: 'MAX DOERNER - Das Malmaterial und seine Verwendung im Bilde'. With this book I wasted a lot of time. Now I understand that Mr Doerner wrote his book with a lot of pretentious imagination. Research has proven that Rembrandt never used resinous paint and Lead White, recommended by Mr Doerner as one of the most stable pigments and therefore indispensable, appeared to be the cause of irreparable damage in many ageing paintings. 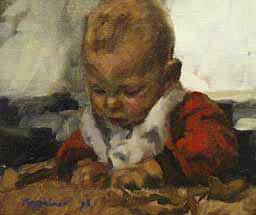 A book that in my opinion is far more interesting for painters is 'KNUT NICOLAUS - Handbuch der Gemälderestaurierung'. Learning about the problems that can occur during the ageing process of paintings helps to develop a thorough understanding for the medium. I am constantly searching for ways to simplify my technique as much as possible. Oil paint, white spirit and from time to time some egg yolk or a drop of linseed oil is all I need. I prefer to use the 'wet-in-wet' technique whereby paint is applied to layers of wet paint and the colors are mixed on the canvas. For small canvases I usually manage to finish the painting in one go. Larger formats require more time and here I use a combination of 'wet-in-wet' and 'wet-in-dry' techniques. People often speak with disapproval about the use of photography by painters. As if only by using this aid the final result cannot be considered a 'real' work of art anymore. This idea, I think, is as foolish as the proposition that traveling can only be real when you do it by foot or on horseback. 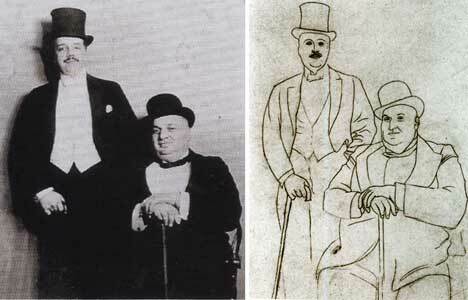 Ever since the invention of photography this medium has been used by painters. 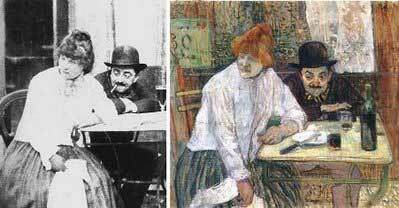 Ingres, Delacroix, Courbet, Degas, Caillebotte, Corot, Bazille, Monet, Picasso, Henry de Toulouse Lautrec as well as the Dutch impressionist Breitner, they all used photography as an aid. Long before the actual invention of photography, various optical techniques were used by many great masters. Caravaggio (1571-1610) was probably the first painter who used lenses and mirrors to project his subjects on canvas. Assumably also painters like Canaletto, Anthony van Dyck, J.D. 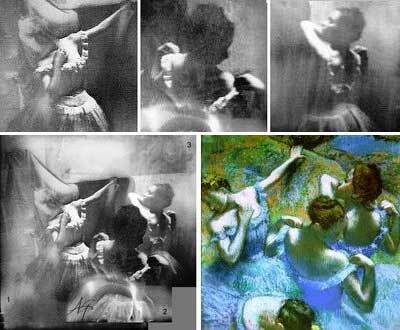 Ingres, Sir Joshua Reynolds, Velázquez, Rembrandt and Johannes Vermeer used optical aids like the camera obscura. 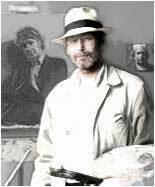 In the past not every painter openly admitted the use of photographs. Probably more as the result of the public opinion than as an attempt to cheat the public. In our days we have learned to consider microwave ovens, contact lenses, washing machines, electric light and computers as normal aspects of everyday life. That it could be quite logical that a painter uses photos as an aid to grasp particular aspects of the visual reality seems not clear to everyone. Especially for subjects like e.g. portraiture of restless children and complex cityscapes photography is a fantastic aid that I learned to accept with gratitude. I think it is a common misunderstanding that it would make painting easier. I for myself never had this experience. On the contrary, the use of photography is full of pitfalls that has to be avoided. A painter always has to be aware of the limitations of the medium. Photography can never replace the amazing visual capacities of the human eye. When the final result is a painting of a photograph instead of a painterly expression of a visual reality, something went wrong. 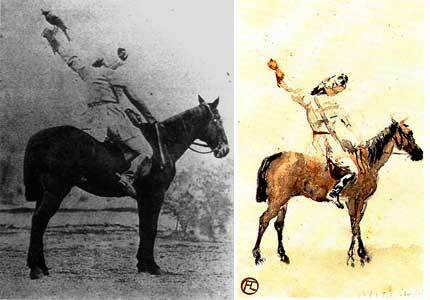 I really don't know if there have been artists who worked without having been influenced by examples of great art. In my case I am convinced that without all the great works of art I have seen I would not have grown into the artist that I am. Especially the 17th century painters and the impressionists have my interest. 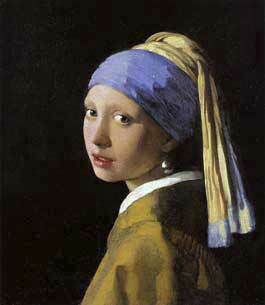 Instead of the whole oeuvre of a particular painter it is more a great painting on itself that attract my attention. 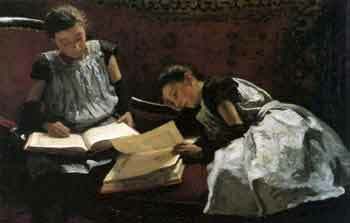 A painting for example that made a strong impression on me is the double portrait by Willem Bastiaan Tholen of the daughters of his friend and colleague Floris Arntzenius. 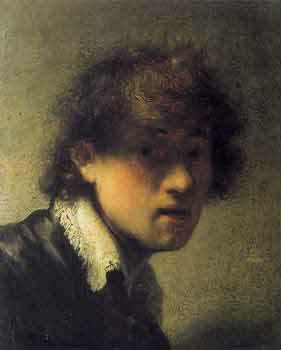 I consider the small self portrait that Rembrandt painted in 1629 as much more interesting than his famous Night watch. The way in which he used the back of the brush to obtain the effect of curly hair testifies to his strong intuitive understanding of the medium. 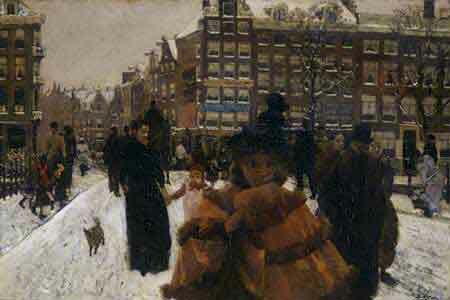 For a painter of Amsterdam Cityscapes the confrontation with George Hendrik Breitner is unavoidable. The personal way in which this painter pictures the city is almost always surprising and exciting. Quite often I am compared with this painter, which I then take as a compliment. We have, with an age time difference, walked the same streets and alleys. The city has changed dramatically in those 100 years. 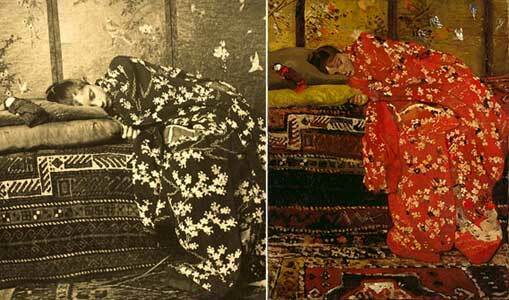 I strive to give my subjects a 'timeless' radiation and I think Breitner did the same in his era. That is a similarity. 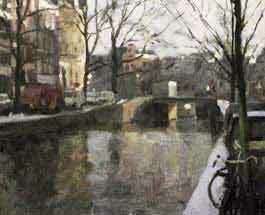 A difference is, I think, that Breitner wanted to express the dynamic athmosphere of the city, whereas my eyes tend to focus on moments of stillness and tranquillity. As a child I learned to know this painting. We had a reproduction of it in our living room. When I saw it in reality and studied the way it was painted, I fell in love with it. To me it is a sublime masterpiece.